On September 13, we have the immense pleasure of releasing Ed Carlsen's debut record The Journey Tapes. And today, we're sharing with you the first taste of music: a short video featuring the opening track "Close". Last year we released Jacob David's album "Omkuld". This beautiful record is one of the highlights of the Moderna catalogue, and we're excited to see its opening track "Judith" have new life in sheet music form. Check out this video featuring Jacob David and his piece "Judith" made for publisher Edition Svitzer. We're very excited to announce the signing of Ed Carlsen to Moderna Records. We'll be releasing his beautiful debut album "The Journey Tapes" on September 13. Carlsen is an italian-born composer and sound designer who studied Music Technology at the London College of Music. His debut album blends elements of modern classical, electronic and ambient music. Keep your eyes and ears open the coming weeks for more on Carlsen and for a taste of The Journey Tapes! Listen to the first single from Tambour's new album "Chapitre II," available July 5th ! Polish artist/musician Bartosz Dziadosz (Pleq) teams up with classically trained musicians to deliver an album fusing modern classical / ambient / avant-garde. With layered organic sounds & mechanical textures as canvas for the cellos of Aaron Martin / Peter Hollo, Julien Marchal’s piano and Tomasz Mrenca’s violin Kingdom Hall sets the mood for a reflective journey of haunting yet ascending brilliance. Taking shape throughout official remixes of Ben Lukas Boysen and Marcus Fjellström's songs is revealed a meticulous work on mood contrasts which culminates into Jason Corder offthesky's palindromic recomposition of the opening . omkuld, the debut album by Jacob David is a delicate tapestry ofrusty piano tunes, ranging from simple and bittersweet melodies to sustained chords and reflective ambiences . David’s old piano, built in 1919, has felt and cotton wool between the strings and the hammer heads to obtain a raw and dusty sound. The simplicity of the piano occasionally woven together with the subtle sounds of field recordings, creates an intimate, thoughtful and organic atmosphere. Moderna Records est l’hôte de cette soirée-concert où instrumentations acoustiques et textures synthétiques s’associent. Cette première édition des Sonorités Modernes lance une série d’événements précurseurs mettant en lumière la relation entre musique classique et électronique. Un rendez-vous de compositeurs et artistes sonores d’ici et d’ailleurs annonçant la présence d’une scène active à Berlin et ailleurs en Europe qui arrive enfin à Montréal. Veroníque Vaka - Erlendis / Out today ! Engineered at Greenhouse Studios in Reykjavik, Erlendis is an epic blend of ambient and classical music, captured by a thoughtful acoustic recording of rich instrumentation. Here's more icing/frosting until Erlendis gets released in its entirety May 25th 2015. We're happy to launch a few sounds this month and by doing so, reach your ears, brain and heart. 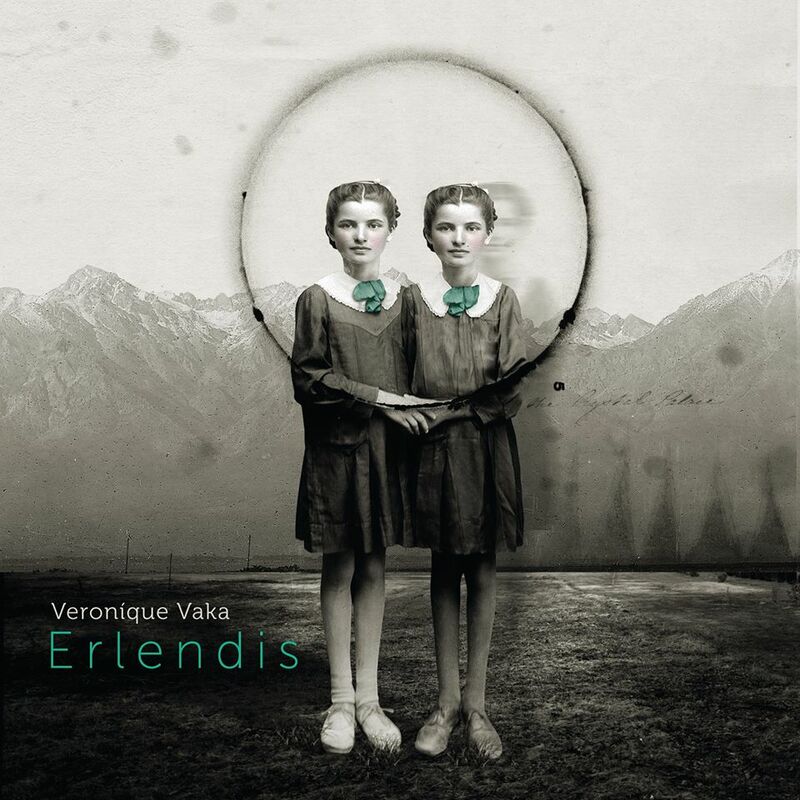 First, Moderna is pretty excited to launch a single track teaser from Veroníque Vaka's forthcoming album Erlendis, co-produced with Alex Somers (Jónsi & Alex, Sigur Rós, Damien Rice). mrs001 : Here is Mark Harris's signature of premium drone ambient music for a full sound designed immersive experience. The Things That Have Been Broken reminds us life cycles are a never-ending process of renewal. mrs002 : Holkham shows the world his first offering from a collaboration with viola player Jos Dow. The Lake Down The Lane outlines a cinematic analytical recorded study on how sound travels. mrs003 : Lorenzo Masotto's majestic Pierrot resonates through a sensitively written strings trio. Somehow we can feel ink reaching paper in total harmony. mrs004 : Kirill Chernegin's tremendous four-movement score Piano Quartet #1 sends listeners on a profound journey following the flows of his thoughts and reflections. mrs005 : Julien Marchal and Tambour team up for a solo piano shared release. From the tip of their fingers to the hammers hitting the strings, it blooms into a precious momentary reverie.